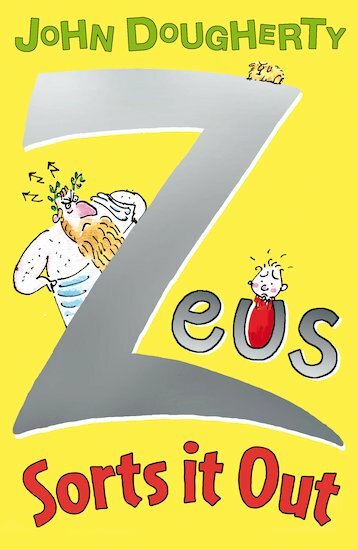 A fast and funny modern adventure based on classical myths, and starring the unpredictable and uncontrollable Zeus! Charlie and Alex have a problem in the mean and hulking shape of Eric Lees, a bully who loves flushing his victims’ heads down the nearest available toilet. When Zeus is summoned and told about the bratty bully, he realises that the name Eric Lees sounds an awful lot like the famous Heracles. Wouldn’t it be funny to make him enact the legendary Labours… substituting dragons for equally fierce school dinner ladies, and Cerberus for the school cat! Can good guy Zeus succeed in sorting Eric out?